welcome back to the left coast. i'm dreaming of your duck and pea shoot dumplings ... surely there is somewhere in this city where they make a shredded bbq duck dumpling?!? 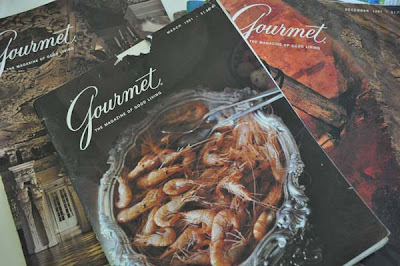 unbelievably, i was fortunate enough to happen upon a stash of vintage gourmets, circa 1981.
chicken breasts in saffron sauce with aspic????? 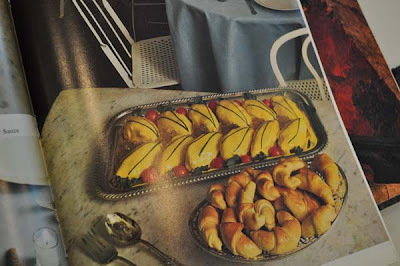 served with (gasp) crescent rolls, sans irony????? the eighties, a culinary trend i am not yet ready to revisit.